Now that you know a little more about encrypted folders, I would like to walk through the 2-step process on how to create them. Read on to learn more! Synology offers a variety of solid storage systems and comes with software that offers a wide variety of features. One great feature is the ability to create encrypted folders. 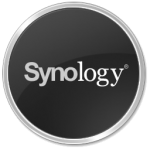 In this post, I would like to talk about Synology encrypted folders and what you need to know. It was a sad day when I realized my macbook pro was more powerful than my home lab server. However, it was the fact that the RAID card on my home lab server could not perform on ESXi 5.x that finally put me in the market for some new gear. So the question is what did I get and why?